Buying Or Selling A House During The Christmas Holidays? Is It A Good Idea? Christmas time is when people are focused on running around buying gifts for friends and family. Planning a getaway, figuring out where they will be staying to celebrate Christmas, or trying to get extra vacation time off work to spend more time with loved ones. Most people aren’t thinking about buying or selling their home around Christmas. There are many advantages and disadvantages to selling or buying a home during this time. This holiday season can be a great opportunity to find a great deal on the right home. During the holidays the Toronto real estate market slows down. This means that the inventory is usually low, as there are less homes on the market. This means there is less competition in the market. This is a time you can get a bargain on a home which a seller might accept a lowball offer, as they will be pressured to sell as there will be much less interest for their property. This can be a time to negotiate a quick closing time frame as they might want to complete the sale before the new year. Sellers understand that the Christmas holidays aren’t the ideal time to sell their home, so to compensate for that they might put up their home below market value. This could equal to getting a much lower price for the home as opposed to waiting a month or two to purchase. On the flip side of things as a seller, things can turn out in their favour. At this time there are less houses on the market, less supply may equal to less competition from other sellers in your neighbourhood. During Christmas time there are far more serious buyers looking as they want to move in before the new year and have the transaction completed quickly, and are not just window shopping. Another advantage could be the high amount of travelers coming to Toronto during the Christmas holidays that are looking for homes for sale. They might be planning to move here and could be house hunting during the holidays. Many people will be planning to move before the new year due to change of job location, study placement or change of scenery. There are many different factors in peoples reasoning to buying real estate during Christmas time. Also take into account many businesses and professionals aren’t working during the Christmas holidays. Lawyers, real estate agents, mortgage brokers and building inspectors might be hard to get ahold of during this time, which can make your house buying or selling efforts a little more difficult. It might be difficult to schedule showings for houses as people will be busy with spending time with friends and family and might not want to be inconvenienced to leave their home. As a buyer this time of year you may not be able to find a home to buy that will meet your needs and wants. Due to the shortage in inventory so your options could be limited. If you are in a rush to buy a home within this period you might have to settle for a less than ideal home for yourself which you might regret later on. These factors will make the process of buying or selling a home in Toronto and surrounding areas a little more challenging as compared to other times of the year. 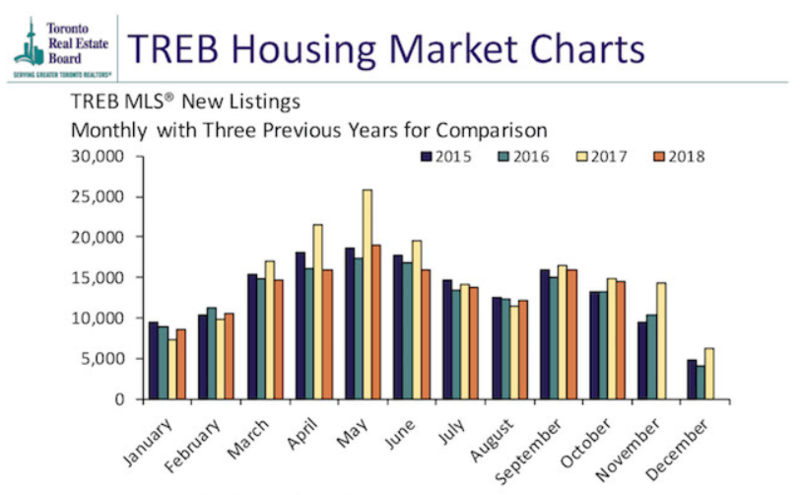 The Toronto Real Estate Board has statistics updated every month of the year. As a real estate agent it is my duty to protect my clients best interests and inform them of all the positives and negatives to selling a home during the Christmas holiday season. Ofcourse everybody’s personal situations are different, selling or buying during Christmas time can work out in your favour or it might not. Before making a decision think of the positives and negatives for buying or selling your home during this time of year. Ask me how the market is doing and I will let you know if it is an ideal time to buy or sell your home. The best decision in an informed decision.